Students are actively engaged in prayer, service projects, and learning to read and interpret scripture. 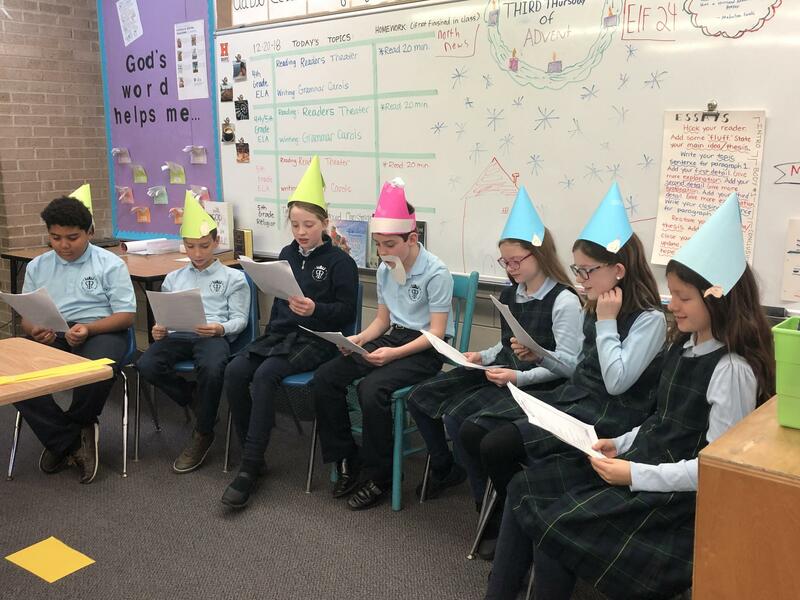 Writing the Mass intentions, leading the school in Advent and Lenten prayer services, and touring the church are a few ways to increase our faith. Students reflect upon the Liturgical Year events. 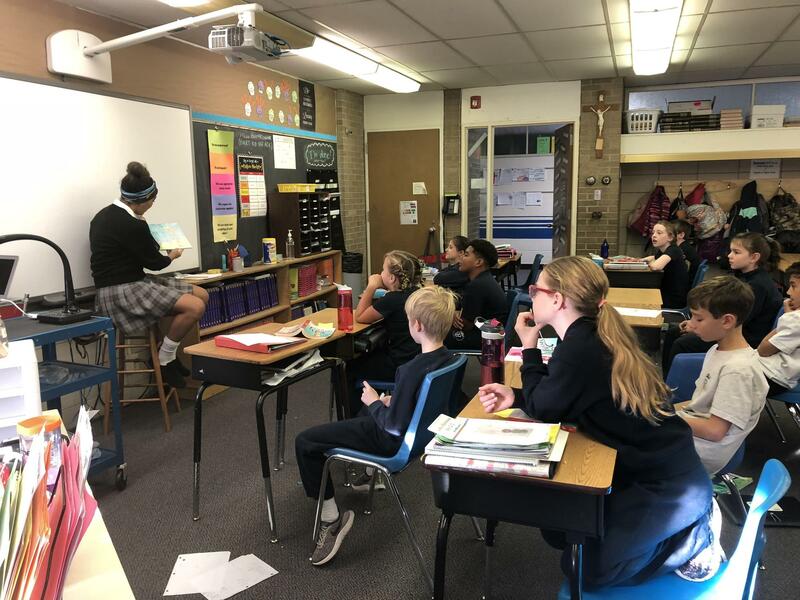 In addition to increasing the students’ knowledge of the Catholic Faith, students are encouraged to develop their personal relationship with God and to share their faith with others. Problem solving and projects to apply mathematical learning. Spiral Review through daily warm-ups. Differentiation thought weekly Khan practice. Students in 4th and 5th may be placed in 5th or 6th grade math depending on skills and level. We provide inquiry-based lessons aligned with the NGSS curriculum in which students learn by experiencing and interacting with science. Students make predictions and observations, collect and analyze data, and share conclusions. 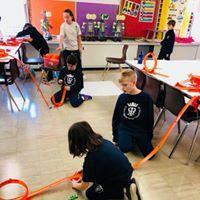 Some explorations we do throughout the year include Bottle Biology Ecosystems, Biomes-in-a-Box, salt crystal experiments and a variety of S.T.E.M activities that challenge students to think outside the box. 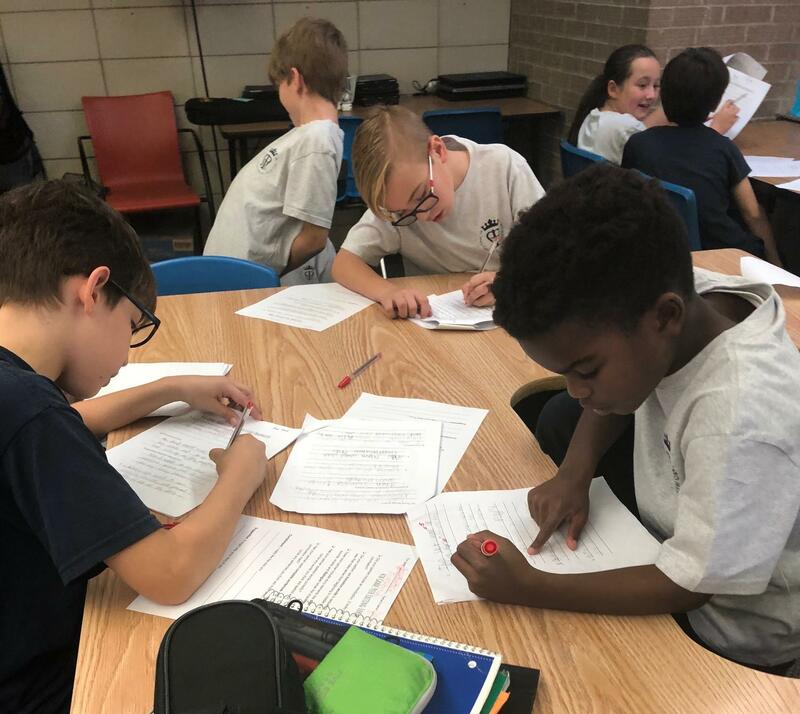 Students work through the writing process (brainstorming, drafting, , editing, revising, and publishing) to develop a well-written piece. We focus on Personal Narrative writing, Expository writing, Persuasive writing, Poetry writing, and Research Paper writing. Instruction in grammar, spelling, and vocabulary enhance a student’s writing. The "Everyday Spelling" program targets frequently misspelled words that students use in their daily writing. 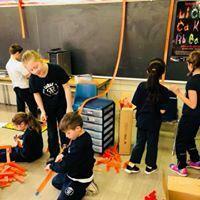 The Reader’s Workshop approach provides an active and enjoyable learning environment. Students are engaged in book club discussions about both fiction and non fiction texts. They read, analyze, and discuss the books in small groups, using the reading strategies we've learned in Reader's Workshop. 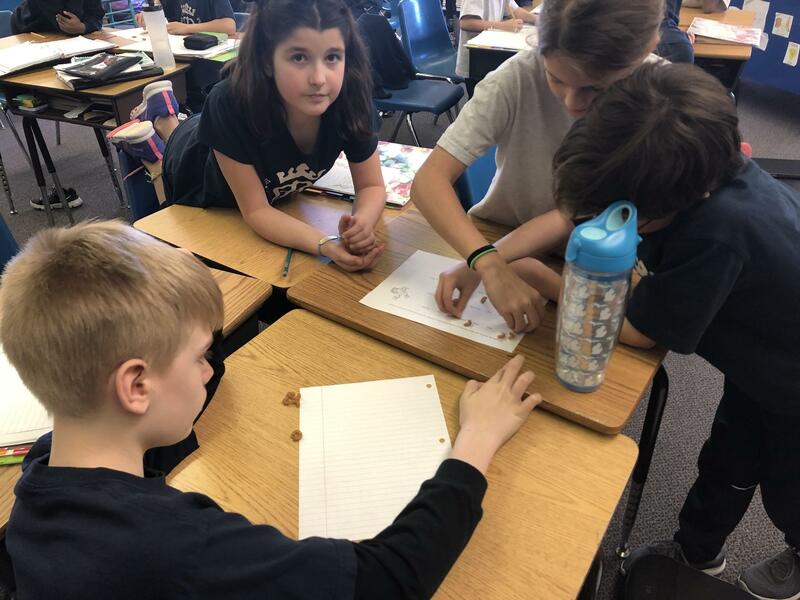 Students work on threads of core reading strategies, such as compare and contrast, cause and effect, making inferences, sequencing, synthesizing, and summarizing. 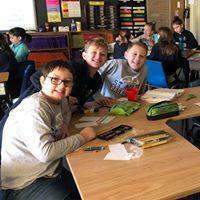 5th grade students begin learning about the five themes of geography. They then will go on to apply those themes as they learn about countries from the Western and Eastern Hemisphere. 5th grade students will learn about how the economy and government works. The 4th grade will learn about the regions, states, and geography of the United States. 4th grade will learn important events in American History along with the beginnings and basics of economics and government. Both 4th and 5th will participate in a mini-society as part of learning about the economy. Morning Homeroom: Students listen to morning announcements and get any important information from their homeroom teacher. 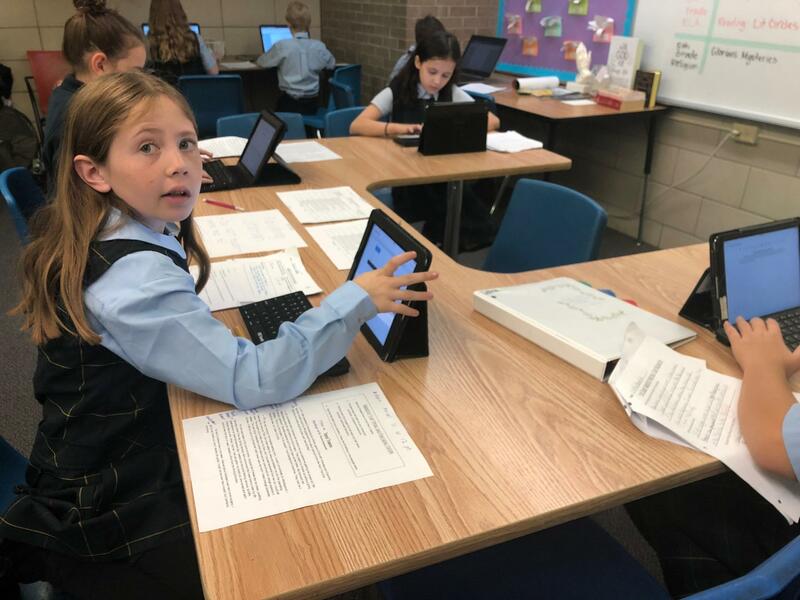 Morning Class Rotations: The 4th and 5th Grade students travel to classes (Math, Science, Social Studies, Language Arts, and Religion). Specials: It's time for students to spend time in Spanish, Computers, Gym, Art, Music, or Library. 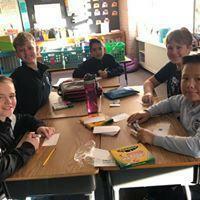 What is new in 4th and 5th grade? Students switch classes for the first time. The 4th/5th Team Teachers each provide instruction for the subject areas they specialize in. We only write in cursive! Students start writing in the 5 Paragraph Format. We teach all subjects every day. Students can be on the Safety Patrol or join the Breakfast Chess Club. We go on an overnight camping trip at Walled Lake Outdoor Education Center. 4th graders can now join choir.